National Accountability Bureau (NAB) remains agile as the bureau has made several arrests of influential people. NAB has arrested owner of Safa Gold Mall and three Capital Development Authority (CDA) officials on corruption charges. Today, we arrested these people for corrupt practices in Safa Gold Mall case, the accused will be produced before the accountability court on Tuesday. NAB arrested the officials after CDA took the decision of canceling the plot allotment to the mall. The charges against the mall include building plan violations and construction of 3 illegal storeys against CDA’s regulations. In the allotment letter, it was clearly defined that the floor-area ratio of the building would be 1:5 with 100% coverage and the number of storeys was ground plus four, thus capping the height of the building. In no case could the number of storeys be enhanced in violation of the relevant planning parameters and clauses of the allotment letter. Shafi Marwat, Former Director Building Control and legal advisor Kashif Malik played a pivotal role in uncovering the infringement enacted by the mall owner. The inquiry regarding this matter was initiated in 2013, however NAB cleared the project at the time. A new inquiry was later started by NAB and the case is still ongoing in Islamabad High Court. CDA formed a committee to investigate the violations by mall authorities and uncover the possible role of CDA officials in the matter on high court’s orders. 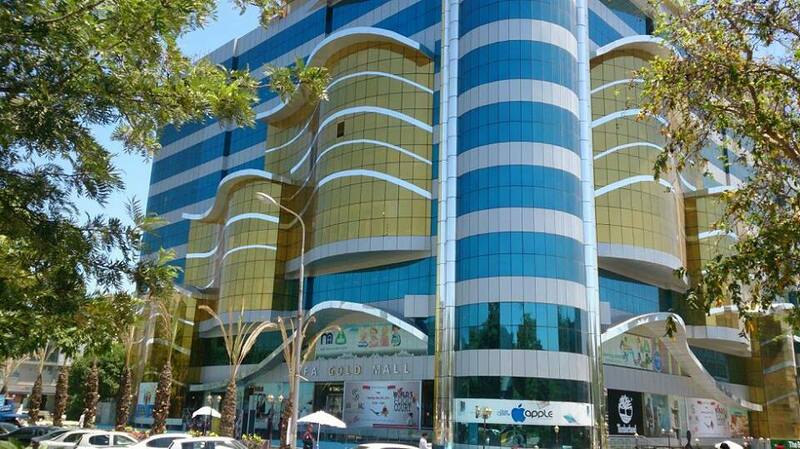 The committee’s report finally came out as it cleared two officials and held another two responsible for colluding with the mall owner. Acting CDA Chairman Anser Aziz intervened and has ordered to start a new inquiry saying the two officials held responsible could possibly have no role in corruption at all. The fresh inquiry hasn’t been initiated yet and Chairman says it will start “soon”. The committee further recommended to remove the illegal storeys built at the mall and impose a fine of Rs 1.3 billion for violating CDA’s building code. However, CDA has decided to cancel the plot and will present its decision before Islamabad High Court (IHC) where the case is pending. IHC will issue the final approval. A CDA official anonymously appreciated NAB’s efforts but also requested to look in to the matter when NAB cleared the Mall owners in 2013. We appreciate new NAB chairman Justice (retired) Javed Iqbal for taking action against the tainted officials of CDA, but we also request him to also take action against those NAB officials, who played delaying tactics in this case. It’s about time. And no mention of the partial owner of the property by a famous politican who helped convert to a commercial property for his and sister’s benefit. CDA is full of corruption…everything that needs to be done…someone wants to be paid. However, not everyone is corrupt…some elements are just like other public companies/services in PK.